Do you describe your business as…A leading technology staffing firm or a national provider of scientific …? Do you tell prospects that you provide superior customer service or that you have systems that drive effectiveness? What is different about your differentiation? Sales differentiation made easy. When you walk around your sales and recruiting teams and you finally get sick of hearing the same old rhetoric, then it is time to define your differences. Differentiation requires that you begin with who you are. Get all the qualities of your business on a sheet of paper, computer or white board. Don’t worry about wordsmithing, just concentrate on getting as much as possible listed. Do you have systems and processes? Do you have a superior training program? Do you have a measurable way of defining customer satisfaction? Do you have history? Do you have knowledge? Anything that can help define your business, your people and etc. is worth writing down. 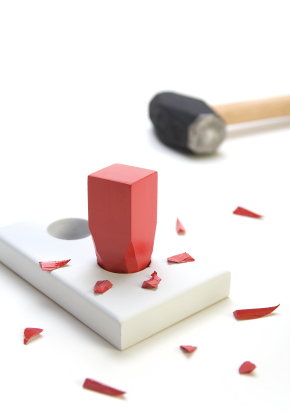 Sales differentiation begins with getting it all down. Now we know who we are, so now we need to know what they want. Do you know what your clients would say is important about working with firms like yours? Many of you just answered the question “yes” and while I am positive that you feel that you are accurate, I want to ask you some questions about that. Do you make a practice of asking every client informally “How did we do?” or “What do you think is the most important reason you do business with us? The reason I ask is that many of us rely on our sales team to ask the question and frankly the average person does not want to risk anything by asking clients a question that could cause them to rethink why they are doing business with them. Invite some key clients to dinner and ask the question. Get on the phone and personally ask your client the question. Hold a focus group and get several clients in a room to ask the question. Ask your prospects and clients to complete a satisfaction survey? The key to sales differentiation is matching your key attributes with their most important needs. Are your key attributes important? Is what your clients told you hard hitting? Reality is one of the hardest things to utilize, but when you can determine what is important, get it down for all to see and beat it up, then you will be able to truly differentiate. What if you don’t have anything hard hitting? Thanks to this exercise, you determined that your message is kind of weak. Do you throw in the towel on differentiation? I sure hope not. This is an opportunity to take what your clients said was important about you or your competition and make it a reality. Superior customer service is a great line, but wouldn’t it be better if you were able to tie this statement to a specific fact. When we really push back on who we are and what our clients need and get to the meat of the matter, then we move from sizzle to steak. In order to make your sales differentiation stand out, most people add a ton of words. You have to start there because otherwise the idea is not in an editable expression. However, most people stop there. This is where it is time to really think about every word you use and refine each statement to make it the hardest hitting. Is the statement easily written? Is the statement easily said? Is the statement worth stating? Your sales differentiation should hit your prospects right between the eyes and your sales team should be able to state them clearly.